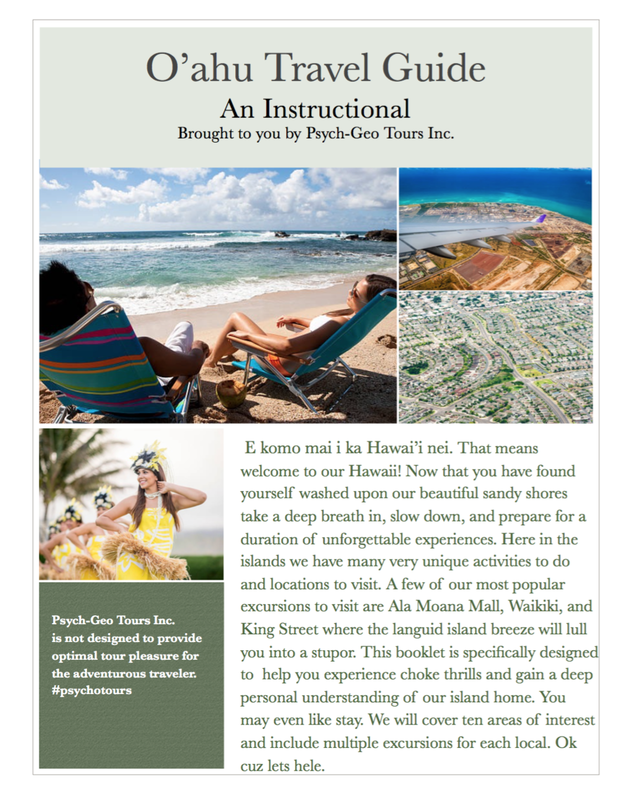 The O'ahu Travel Guide is a pseudo-satyrical travel guide based on my continued experiences living on the Hawaiian island of O'ahu. The locations mentioned are chosen specifically to accentuate their genuine character and highlight the often overlooked aspects of the place such as military occupation, urbanization, suburban sprawl, classism, and the effects of a colonial society. The booklet provides 27 walking excursions in 10 different locations.